WASHINGTON — President Obama congratulated the Naval Academy football team on Wednesday during a ceremony at the White House for winning the annual Commander in Chief Trophy. Obama noted that Navy now has won the trophy in 10 of the last 13 years of the annual three-way rivalry between the Army, Navy and Air Force academies. 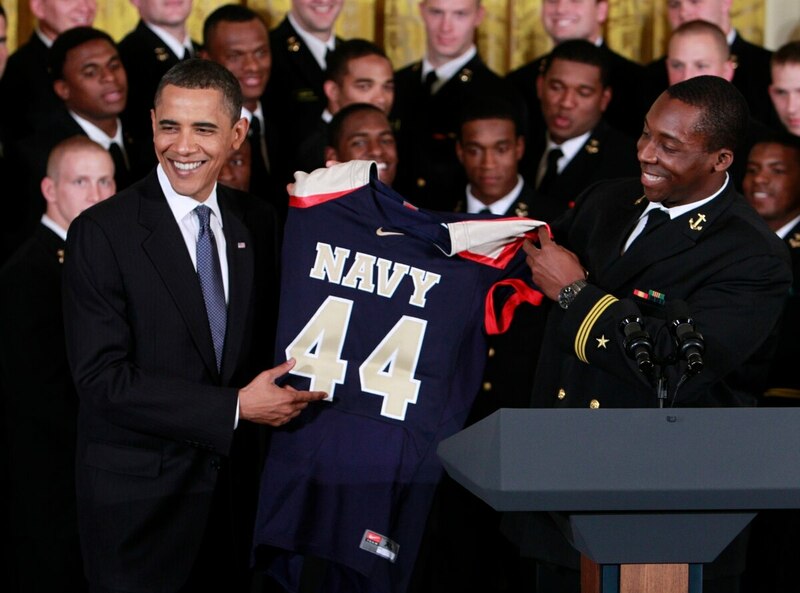 The president joked that Navy has won so often, it should put the award ceremony on its football schedule. He noted this is the last time he'll have the honor during his presidency and said he was honored to see it go to "one of the best teams in America." Obama also wished them good luck getting the trophy back to Annapolis, Maryland, "because it's huge."